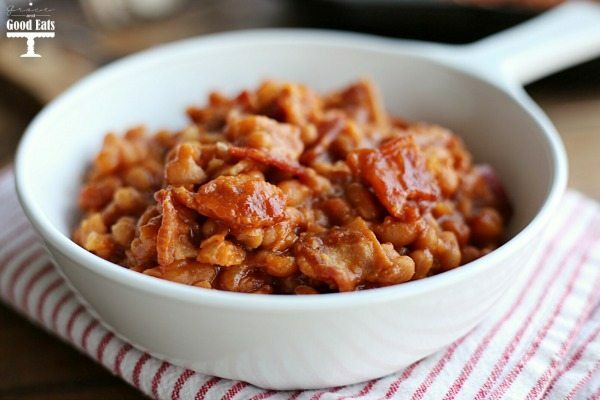 These Bacon Baked Beans are loaded with bacon, so simple to make, and full of sweet, tangy flavor. 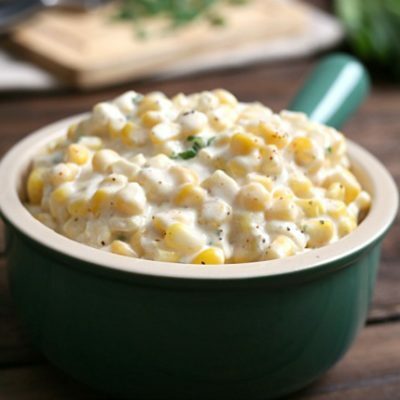 The perfect side dish for a family BBQ or potluck. A few weeks ago I flew to Florida with my Dad to visit my grandparents. We had such a wonderful visit- staying up way too late visiting and eating way too much good food. They were really excited to take us to one of their favorite local BBQ restaurants in hopes that it would be a little taste of home. The restaurant was great- tender pulled pork, sky high whipped potatoes, and fluffy biscuits graced the table. The one thing that was missing from our meal was a big bowl of southern-style baked beans. 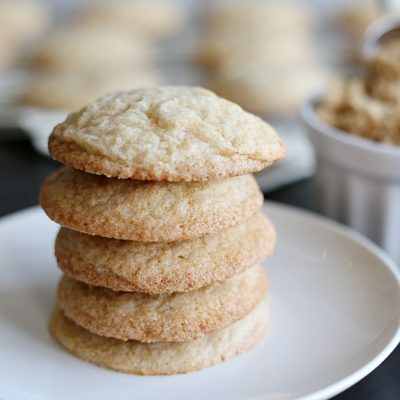 I’ve never entered this recipe in any official contests, but it is definitely award winning at my dinner table. 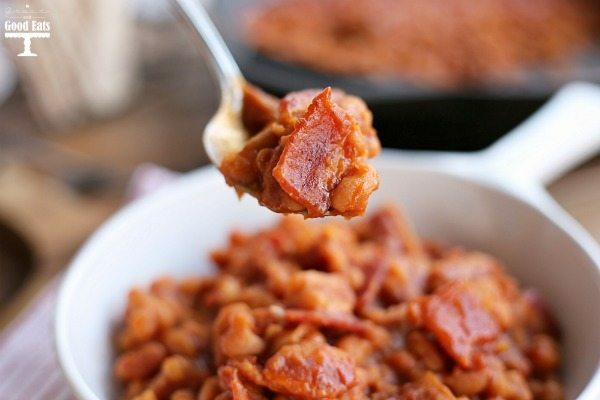 These Bacon Baked Beans are crowd pleasing, whether it be hungry firemen or picky kids. 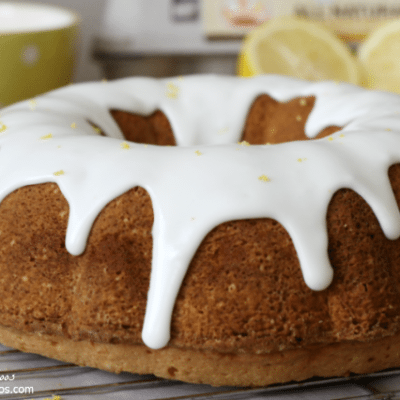 This recipe easily doubles and is even better the next day after the bold and spicy flavors marinate in the fridge. 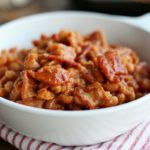 These Bacon Baked Beans are loaded with bacon, so simple to make, and full of sweet, tangy flavor. 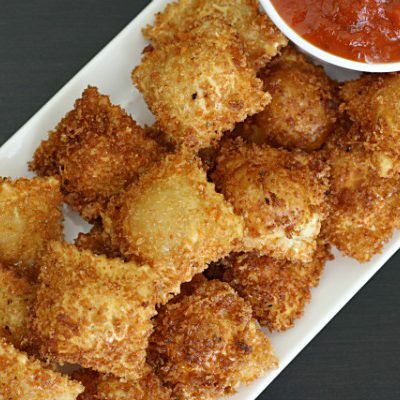 Cook the diced onion and cubed bacon in a large skillet. 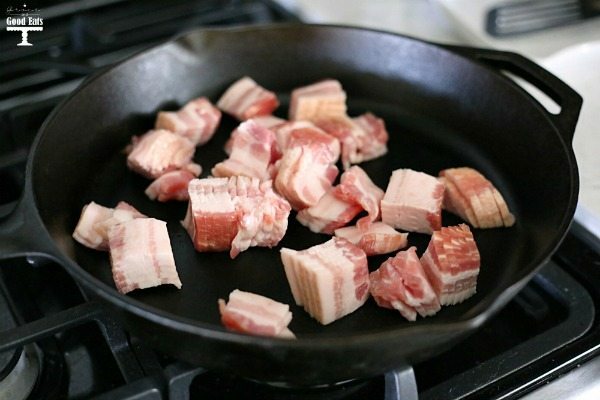 Once the bacon is fully cooked, drain and discard the fat. 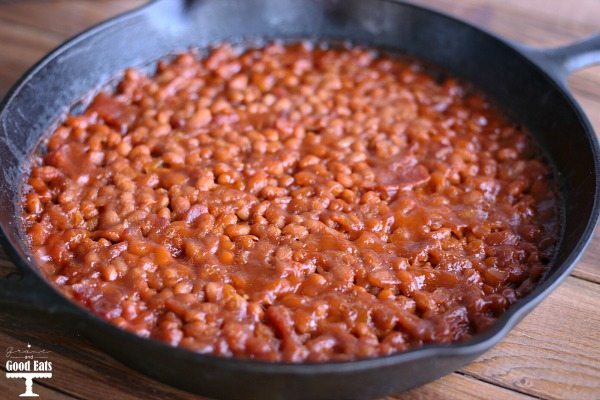 Rinse and drain one can of beans, add to the skillet with bacon and onion. 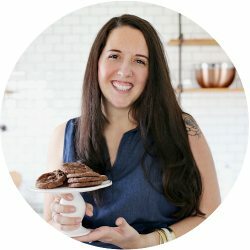 Add all other remaining ingredients and mix well. Yes- only rinse and drain one can of beans. Add the other two as is. 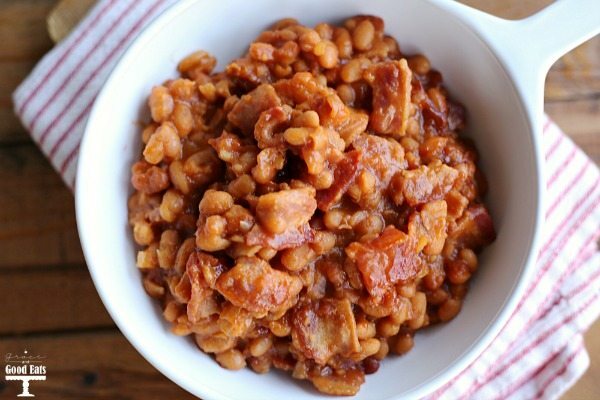 Push the bacon down below the beans before baking to ensure it stays tender. After 20 minutes, the beans should be hot and bubbly. 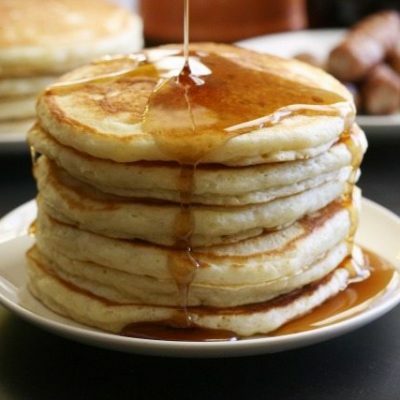 A firehouse favorite for sure.